Months ago, I attempted to make Spent Grain Granola and basically failed. And maybe, just maybe gave up a little. But a few months later, with entirely too many bags of spent grains taking up my freezer space, it became clear that I was going to have to give it a go. And, while I still have a lot to learn to make perfect Spent Grain Granola, this batch far exceeded the first! Squeeze out excess moisture from 4 cups of Spent Grains. Preheat oven to 350 F (177 C) and line a baking sheet with parchment paper or tin foil. 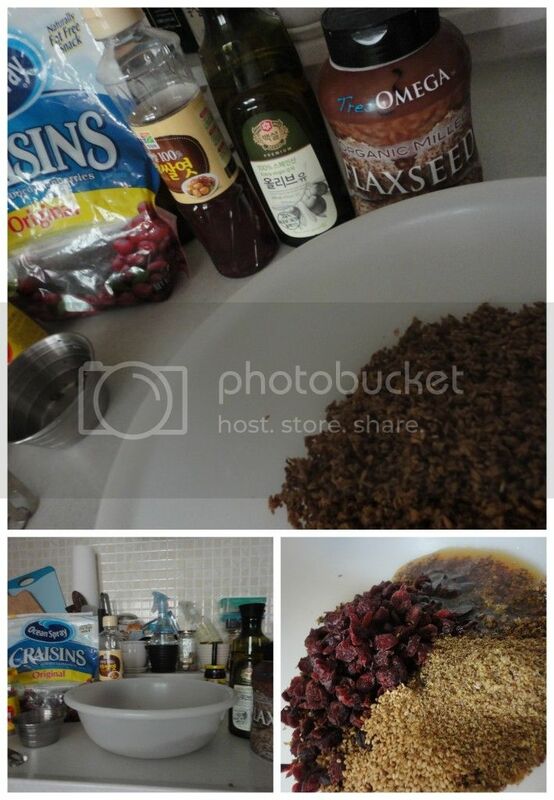 In a large bowl, mix together the grains, 2 Tbsp. Sesame Seeds, 2 Tbsp. Flax-seeds, 1/2 cup Brown Rice Syrup (or honey, or maple syrup) and 1/4 cup Vegetable Oil (or 2 Tbsp. Coconut Oil). Separately, mix together 1/3 cup Wheat Flour, 1/4 tsp. Salt and any seasonings you may like such as cinnamon etc. (not too much, the recipe I referenced originally, called for 3 Tbsp of Cinnamon which I'm finding to be overwhelming). Mix the dry ingredients with the wet and spread out onto a baking sheet. Bake 40-60 minutes stirring every 20 minutes, you want it to stay golden and beautiful, so if it looks like it's getting to dark, stop at the 40 minute mark otherwise keep going! Reduce heat to 275 F (135 C) and bake an additional 20-30 minutes, this is when you want it to dry out, but not really cook any more, stir every 20 minutes. Remove from oven and cool completely before storing in an airtight container in the refrigerator. At the reduced temperature time or after completely baking the granola you can add some craisins or other dried fruit and some nuts if it suits your fancy. However, I added craisins at the beginning of this recipe and ended up with crispy, dark dried cranberries, better to wait it out!